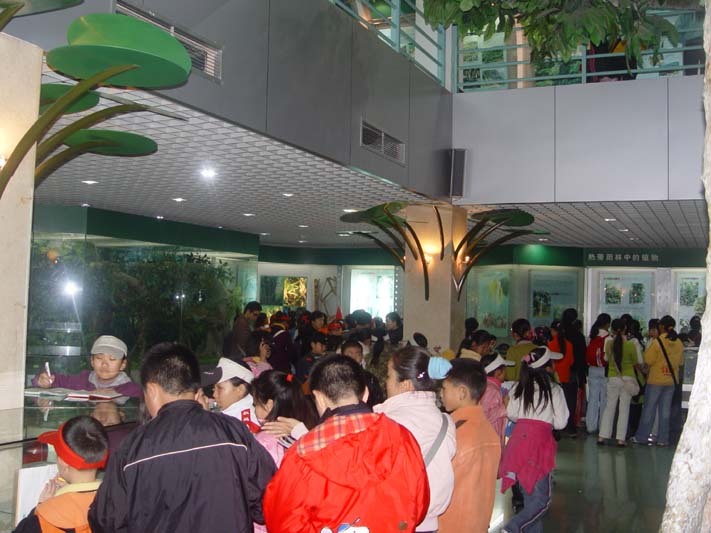 The Tropical Rainforest Ethnic Culture Museum of XTBG had received over one million visitors from home and abroad by the end of 2006 since its trial opening on October 1, 2003, according to statistics. It receives 1,000 visitors per day on average. With a unique conception and in diversified displaying techniques, the Museum properly presents the knowledge of tropical rainforest and ethnic culture in Xishuangbanna to the public. It also serves as an important platform to carry out studies on aboriginal forest culture in Xishuangbanna, and to popularize scientific knowledge. Meanwhile, it propagates scientific thought on the harmonious development between human and nature. People from all walks of life ever visited the Museum, including native residents of the minority nationalities, CAS and CAE members, Nobel Prize laureates, National and CAS leaders, etc. All visitors spoke highly of the Museum from different points of view.